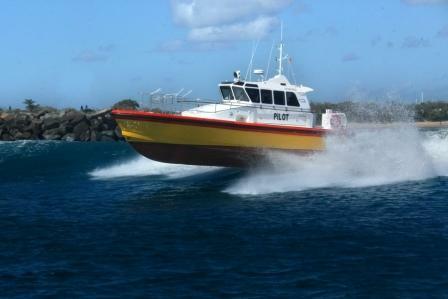 Launched in September 2012, this 14.2m Pilot Boat was designed & built by Norman R. Wright & Sons for the Australian Reef Pilots (ARP) for its pilotage operations from the Port of Cairns. Skirmish was the first of the current series of 14.2m Pilot vessels designed and built by Norman R. Wright & Sons. Launched in April 2012 for the Brisbane Marine Pilots, Skirmish now operates out of Mooloolaba and has continued to demonstrate the high level of predictability and reliablilty that it demonstrated during its pre-launch trials.